6 Track double vinyl release with exclusive tracks by K Jah And Vytol and The Force and Verdikt. 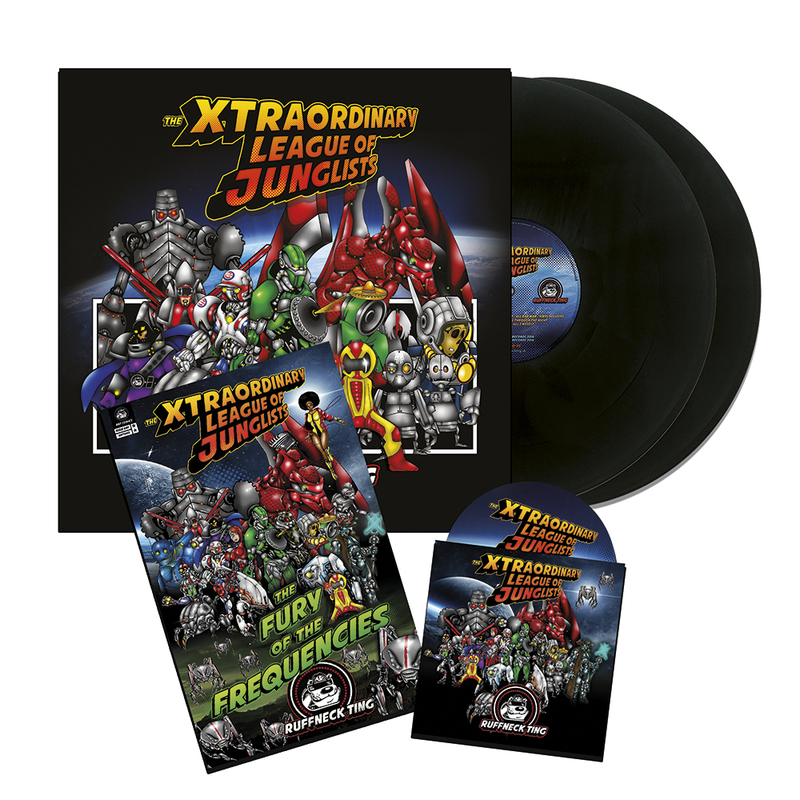 Also available: unique Xtraordinary League Of Junglists collectors comic and mix cd featuring all tracks from the project. Mixed by Dj Dazee Ft MC MD. Order the vinyl and comic together for the special deal or buy separately (choose an option from “Selection” drop down menu) £1.50 postage will be refunded to uk purchases of the comic only.